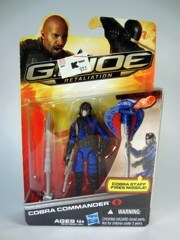 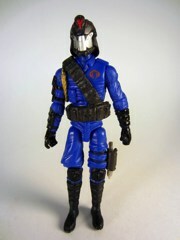 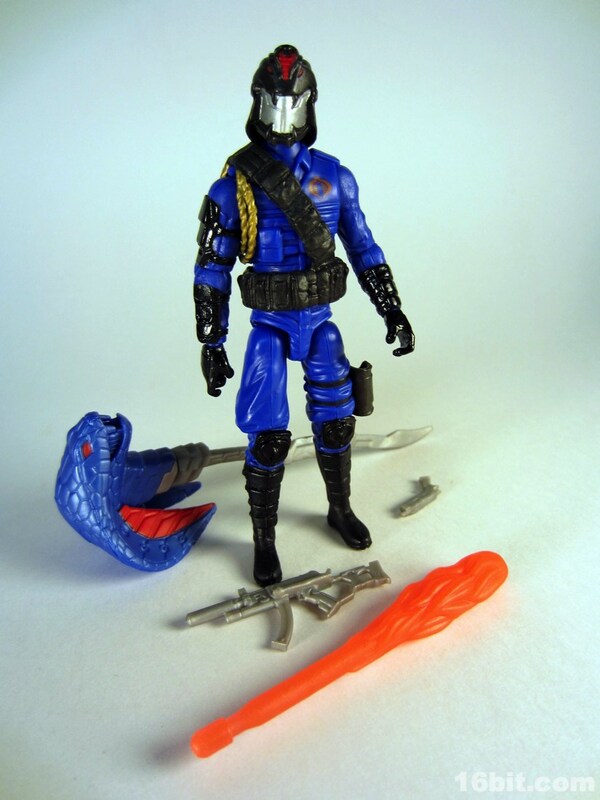 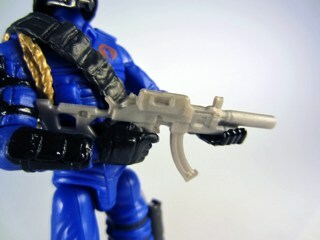 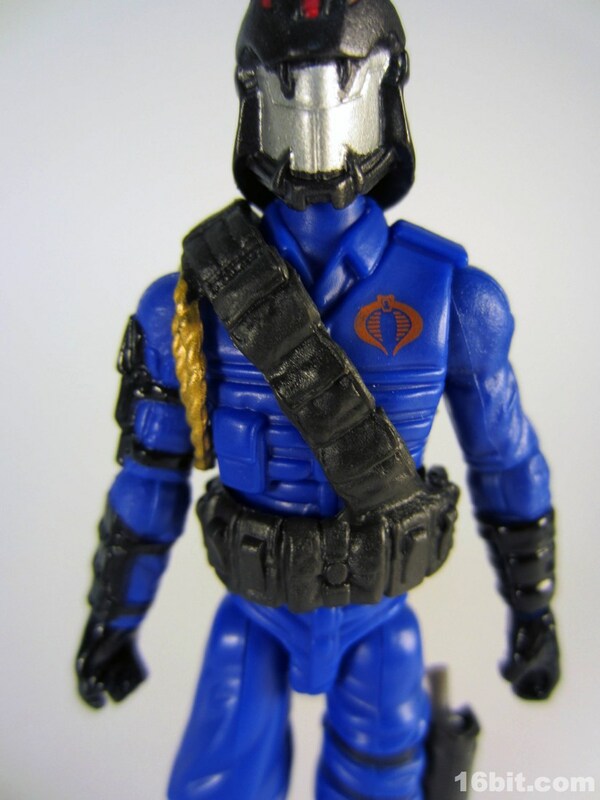 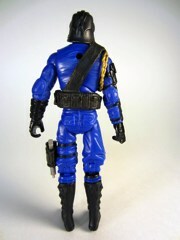 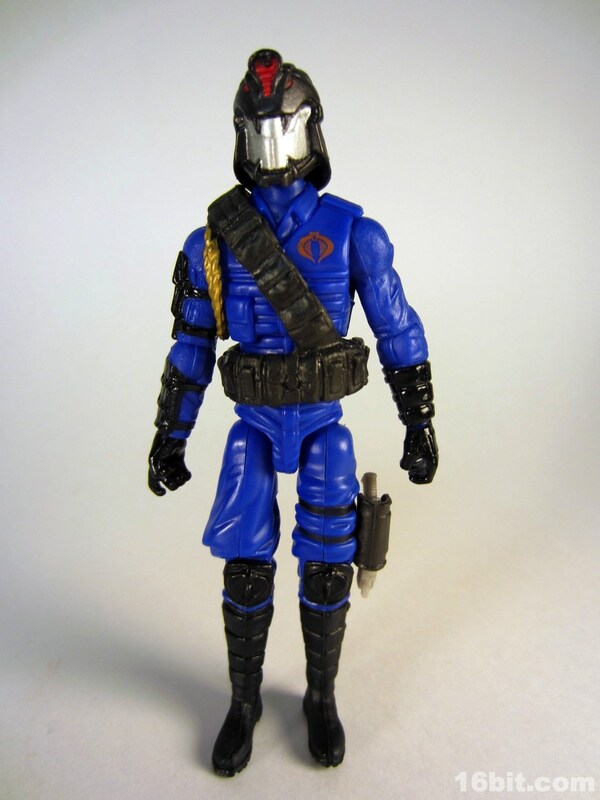 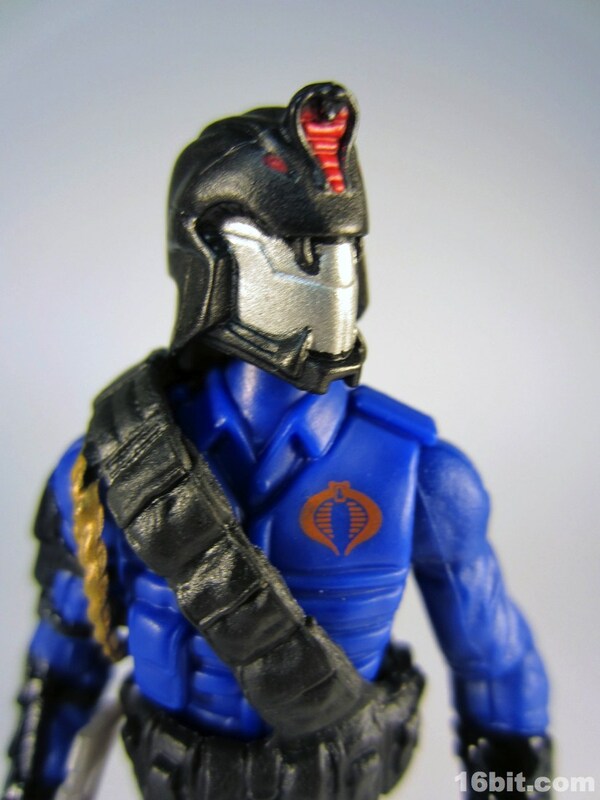 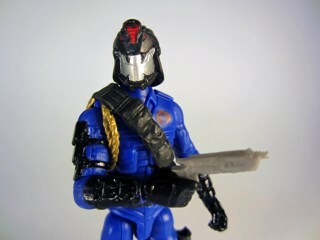 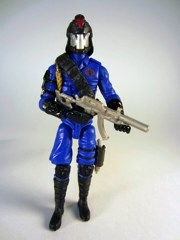 I'm not quite sure what the deal with Cobra Commander is, as in, which version is the rare one? 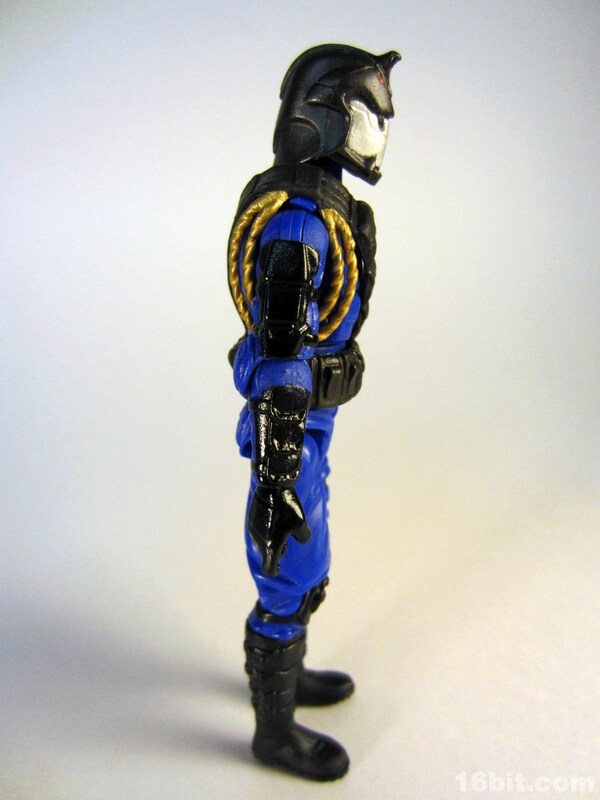 Everybody claimed at first it was the black one, but I saw dozens of black ones around the figure's May launch and didn't see a single blue one until Kmart nearby got some in July much later. It looks like the very first figures may have been blue, with black being the running change/second release. 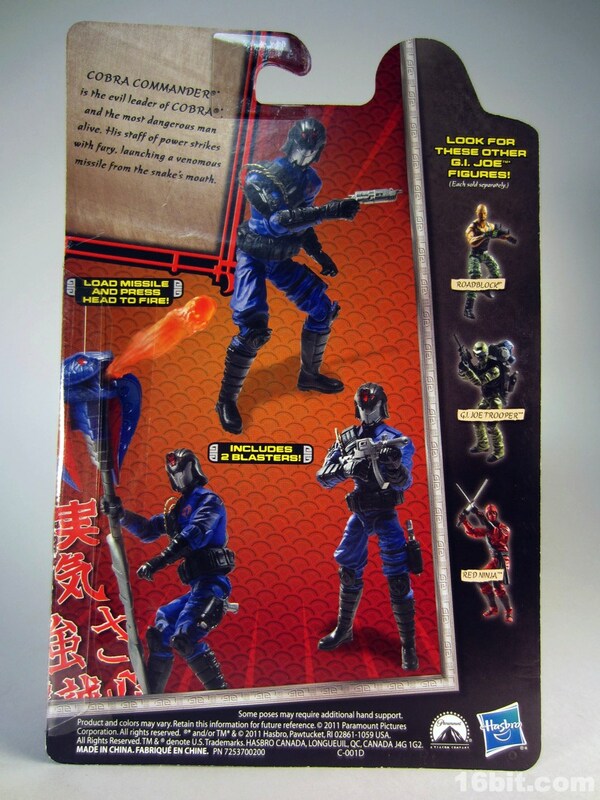 If that's truly the case, blue may be the "rare" one, but it seems despite Hasbro stopping delivery of these items there may well be plenty out there. Standing at about 4-inches tall, Cobra Commander is a slight departure from the norm in terms of articulation. He no longer has ankle joints, he has but one set of knee joints, and about a grand total of 12 meaningful joints are present. 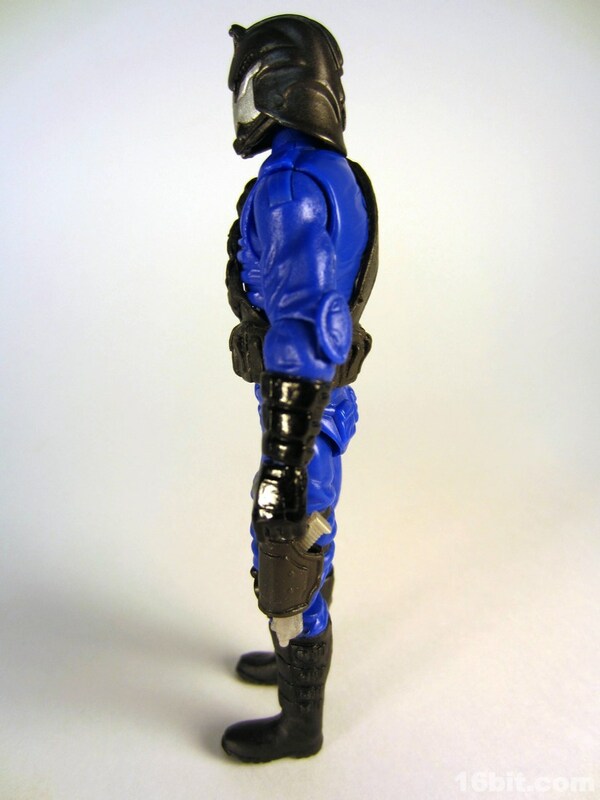 On my sample, the figure has incredibly loose legs (pick him up, and gravity will pull them down) and a right hand that pops out far more easily than most other action figures. 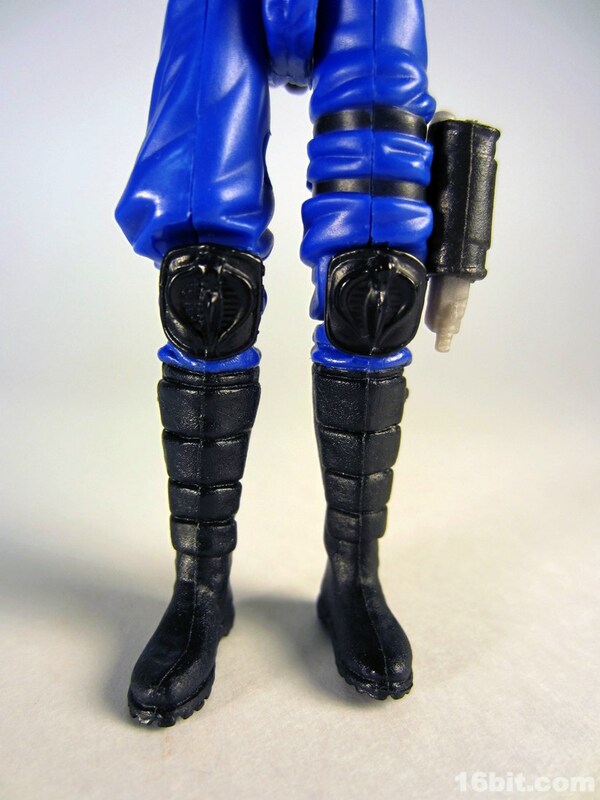 So while the figure is nicely sculpted, with lots of pockets and cool details like Cobra knee pads, he feels a little cheap. 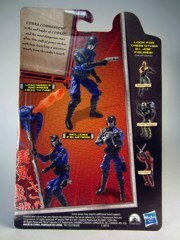 I'm happy mine was on sale for $7.99 (what luck!) but I'm a little annoyed that my particular sample isn't up to par with the several thousand other figures I've bought from Hasbro over the years. While not precisely like the movie, this new Cobra Commander has an awesome helmet and a lot of very toy-friendly crazy elements. 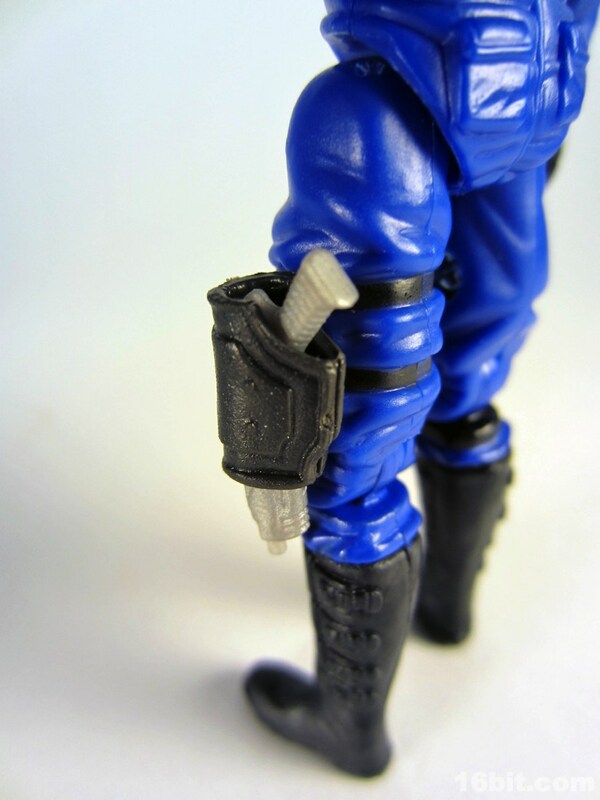 To be honest, if the joints were tight, if a stand were included, and if he had ankles, this would probably be my favorite version of the character in years. 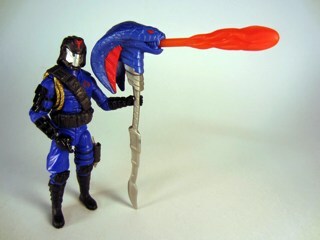 The little details and the ridiculous Cobra staff are a lot of fun, although Cobra Commander does have some difficulty holding up the two-piece staff, and getting the firing mechanism to work is a little tricky. 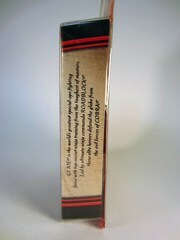 It doesn't quite click into place like other rocket launchers, so you'll have to futz with it and wonder if it is broken for a few minutes before getting the feel just right. 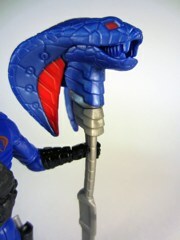 On the bright side, it's not too hard to get the rocket to rest in the snake head without being in a position to accidentally get set off, and that's really nice to see.